Luxurious, spectacular, magnificent are good adjectives to describe the geometrically designed Kazak or Kazakh rug. Centuries of Armenian craftsmanship carried down to our days, the best natural dyes, unique patterns, the finest wool, are among the characteristics that guarantees carpets of the best quality. 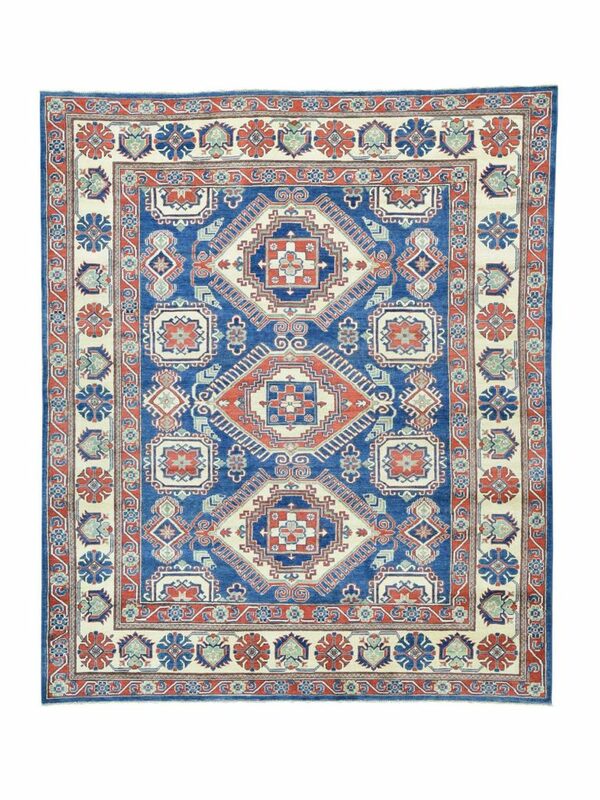 Large-scale designs, numerous medallions, and contrasting colors such as blue, red and ivory, gives this type of carpets a superb appearance. Its origin dates back to the 18th and 19th centuries in the Kazak area of the Caucasus, probably the most famous area in weaving terms. 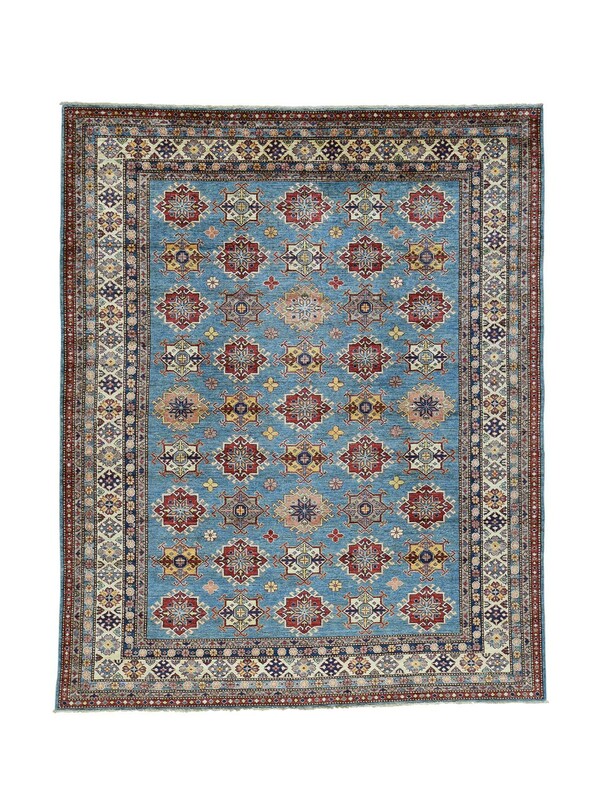 Kazak rugs were hand-knotted by the women of the Tiflis and Erevan. Within the Kazakh rugs, other categories are considered depending on the geographical area were they were woven, for example carpets from the south of the Tiflis, Bordajalou Kazak rugs, coarsely woven with simple designs. Carpets from the North of the Erevans, with shorter pile and more formal designs. 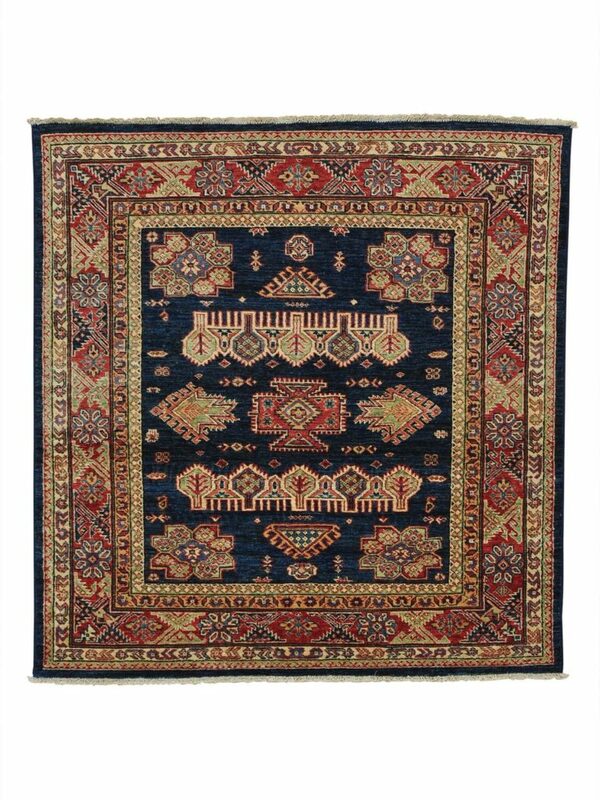 Other categories includes carpets made before 1925, known as: Karabach, Sjirvan, Kuba and Dagestan carpets. Each one with variation in the patterns and predominance of the traditional colors. Considered a sign of status, Kazakh rugs and other Armenian carpets were an important possession in the wealthy houses, in palaces, and in churches. They could be used as tapestries, or to cover the king`s throne. They were also used for day to day activities like dining. Kazakhs were frequently woven with threads of silver and gold, making them precious enough to be demanded as part of the tax owed to the nobility that ruled over the Armenians. Just like kings and princes prized the Kazakh carpets, Caucasian rugs connoisseur`s highly esteem their robust aesthetic and saturated natural color tones, large motifs and majestic proportions that explain the appeal of these iconic designs.